GM-3 is a primary kind of gaming headset, which brings you vivid sound field, sound clarity, sound shock feeling, capable of various games. 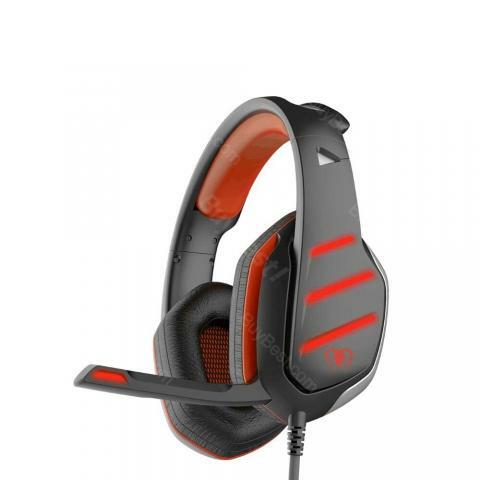 The Beexcellent GM-3 Gaming Headset features multi platform compatibility: PS4, new Xbox One, PC , laptop, tablet, iPad, computer, smart phone. An extra microsoft adapter (not included) is required when connecte it with an old version Xbox One controller. • High-quality sound production unit offers high,medium and low audio experience. • Skin type protein earmuff,environmental protection,wearproof and comfortable to wear; 3.Earmuffs used with skin-friendly leather material, and super soft Over-ear pads that is more comfortable for long time wear. • 3.5mm connector, it is suitable for iPhone 6 / 6 Plus, Samsung S5, S4, LG, Xiaomi, iPad, PC, laptop, tablet, etc. • Line is equipped with a rotary volume controller, one key Mic mute, more convenient to use. Easy to use and like it’s clear sound quality. What I like is in-line volume control, convenient to operate. This headset is really comfortable and I no longer have to feel around to find the little switch on the cord for volume/mute while playing online. I got these for my grandson. He likes them very much and says they are great. You can hear footsteps while you’re playing so it helped me get a jump on my friends. Comparable to Turtle Beach but half the cost. High quality sound unit provides high, medium and low audio experience. Skin-friendly leather earmuffs ensure comfortable and long time wearing. USB jack is designed for led lights. .5mm jack, just plug and play for pc, nothing can be more easy to use. All in all, I like this cool, amazing headset! Sound is great, it has a variety of fittings to be used with the PC or phone. It fits comfortably. It works perfectly plugged into the PC for gaming, but also a professional quality sound when using for phone calls.